When I write and talk about one subject much more than another, it’s usually about something I am passionate about, it’s because it means something big, something meaningful, something mind-blowing. As you all know, one of the things I am extremely passionate about is music – specifically rock and roll, and more specifically – Bruce Springsteen and the E Street Band. The underlying reasons are about so much more than the music. It’s about a transformational, triumphant experience that transforms contentment into pure joy, if not ecstasy; motivation into inspiration to take action; pain into perspective, peace and faith; loneliness into a sense of always feeling protected by the wisest and safest guardian angel; fear into faith that everything’s always going to be alright, no matter how tough it gets. It’s about finding a sense of communion with something higher than ourselves. As Linda Randall said in her doctoral thesis and book, it’s about “finding grace in the concert hall.” Well, let me share how I have found grace in this concert hall, about why being a fan is not just about being a fan, but about espousing a set of universally shared values that becomes even stronger and more powerful through association and communion. 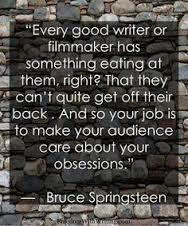 Through my experience as a devoted follower and “missionary” of this E Street music movement, I have found myself in sync with people from all over the world who I might never have become friends with under normal circumstances – yet there is a connection between us that bonds us way beyond the music, rendering our differences meaningless. I was honored and privileged enough to work with one of the most prominent – if not the most prominent – E Street Band members – during the 2012 Wrecking Ball Tour. His organization, known as the Rock and Roll Forever Foundation, www.rockandrollforever.org, is a philanthropic and educational initiative that transcends the music and shares the narrative of rock and roll music and its impact on society, culture, education, and history. It was truly one of the best and most inspirational experiences of my life and one I am also still so very passionate about. I am so very grateful for that experience, will treasure it forever, and still work on the sidelines to share how important this initiative is, and how impactful Rock and Roll is to our society, specifically to the next generation and to the history books. Music bonds us together like nothing else – of that I am sure. Little Steven Van Zandt is not only one of the most talented and creative musicians, songwriters, producers and creative pioneers alive, but he is truly a power to be reckoned with! His playful, mischievous spirit and his trademark pirate style belies the power behind and alongside the Boss himself. I am truly honored to have had this incredibly enlightening and life-changing opportunity and can only hope to further his mission in any way I can. How else would I have become great friends with a mother and daughter in St. Paul, Minnesota, one of whom has just turned 90 years old, lamenting how she will celebrate without a Springsteen concert to dance in the dark with the Boss himself – as I saw her do on her 88th birthday – and that was her 150th or so show – standing in the pit!? How else would I have bonded with a Japanese man who spoke no English, dancing and singing with him in the pit for the entire concert? How else would I bring new friends into my concert hall and meet up with old friends in places all over the country – and the world? How else would I go to a concert by myself regularly, dancing and singing like no one is watching – rain or shine, front row to the upper decks? How else would I be invited to a wedding of two dear, lovely people who I just met and already cherish, on the beach in Asbury Park this coming summer? I will tell you how and I will tell you why: with these hands. It’s about much more than the music. It’s about communion. It’s about kindred spirits. It’s about the ties that bind, it’s about rising up above the storm for something so much bigger and better that will get us through it, it’s about getting out of one’s comfort zone and seeing our world of difference that is actually so much more united than we appreciate, it’s about making anyone’s and everyone’s “cities of ruins” into “letting everyone see your hands.” It’s about making our way through the darkness, finding the light of day, coming on up for the rising, and rising up. 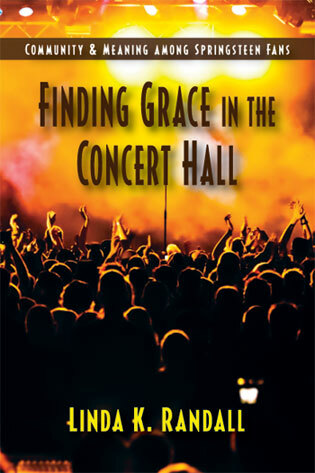 It’s about “finding grace in the concert hall” – each and every day of the year no matter what, but found for me in no other hall than the one in the church of Springsteen and E Street. Even if you find it elsewhere, find it somewhere. It’s found me, and it’s been one graceful, exhilarating experience that I appreciate you letting me share with all of you regularly. On my birthday though, I thought a bit more context might provoke the passion within you to find the grace with me – whether it’s Springsteen and E Street, Eric Church, Fleetwood Mac, Taylor Swift, or the New York Philharmonic. So for my birthday this year, let me see all of your hands! It’s about so much more than using them to make your guitar talk, though that is mind-blowing in itself. My hands reach out to yours to join me by finding grace in the concert hall, and anytime in mine, which is truly one like no other – the one led by Bruce Springsteen and the E Street Band. It might just change your life, as it has mine. Whether your “city” is in ruins – as Asbury Park was for many years, my great city of New York was after 9/11, and the city of New Orleans after Hurricane Katrina – or if it’s your own home struggling to make ends meet or because of what life throws at all of us so unpredictably – it will indeed rise again and rise even higher, with a little help from the grace in the concert hall, especially the one that seriously knows no bounds where the choice is made for you anyway!